Held near the Highland village of Dores by the shores of Loch Ness and honoured as “Best Small Festival” at a leading ceremony, the three-day festival runs this year from June 8 to June 10. This is the seventh year of the live event. The headline acts will be Mumford And Sons, Biffy Clyro and Deadmau5. 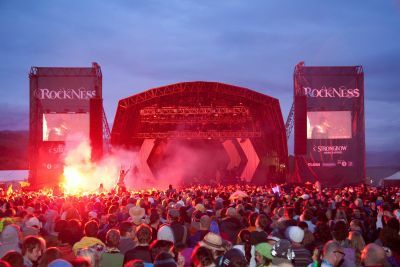 Among the other acts confirmed for RockNess in 2012 so far are Ed Sheeran, Metronomy and Noah And The Whale. Meanwhile, dance connoisseurs can revel in sets from the likes of Justice, DJ Fresh, Etienne De Crecy and the legendary Chic. Ticket packages for Rockness are on sale from today (January 26) via the festival website.